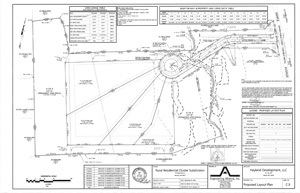 The project consists of the subdivision of the existing 15.6-acre parcel into 4 individual building lots each ranging from 1.0-acres to 2.2-acres in size, a 7.9 acre non-buildable lot designated as “Permanent Open Space” and approximately 905-feet of roadway as illustrated on the Site Plans posted above. All local, state and federal permits have been granted. The roadway has recently been paved and the lot is ready for individual house construction. 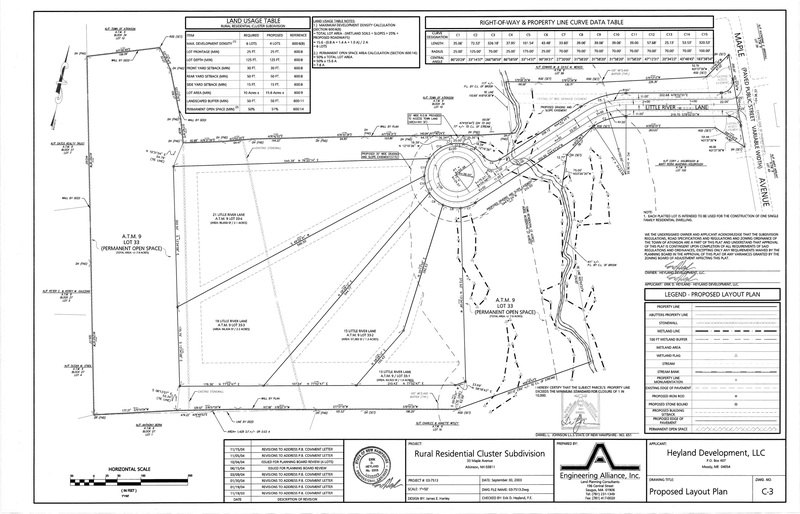 NHDES Individual Septic approval has been granted for #13, 15 and 19 Little River Lane. Each lot has been granted approval for 4-bedrooms.